Everyday, thousands of Disneyland visitors walk past the entrance to Club 33 without knowing it. The renovated entrance is located below the Pirates of the Caribbean ride and features the number 33 in frosted glass. A simple “33” marked the blue door to the “old” club, which is located near the Blue Bayou restaurant on Royal Street. Guests are required to be buzzed in through an intercom on the building as the door remains locked at all times. 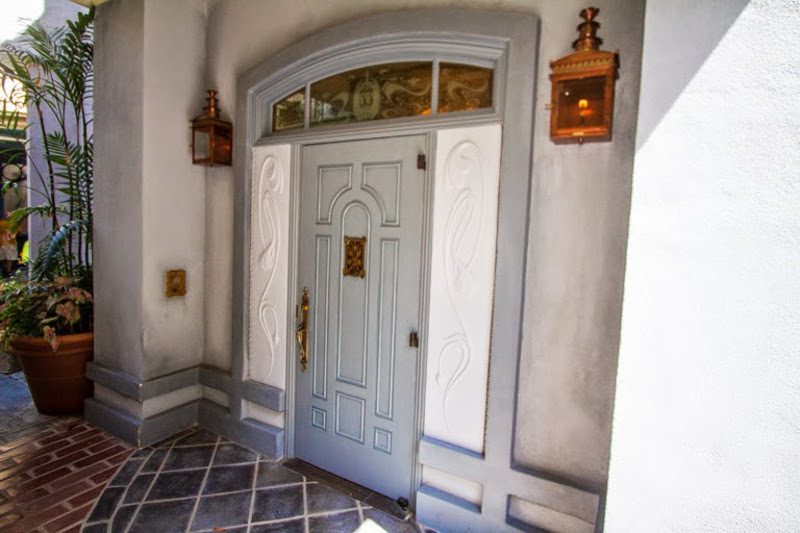 One look at the simple exterior of Club 33 proves why most guests don’t realize a high-end restaurant is just feet away.